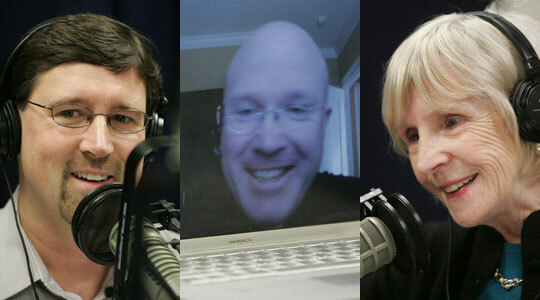 Summary of today’s show: Scot Landry and Susan Abbott review this week’s headlines with Gregory Tracy and Fr. Roger Landry, including the ordination of transitional deacons; the release of the Archdiocese’s annual financial report; Fr. Roger’s editorial on how all Americans should realize the value of Catholic schools to our nation; and a roundup from this week’s March for Life. 1st segment: Scot welcomed Susan to the show and said they were recording Thursday morning. After the show, Susan was heading to an afternoon meeting with religious educators to discuss the topic of pastoral planning in the archdiocese. Scot said we will have a show coming up on the second round of pastoral planning. He said listeners can go to PastoralPlanning2012.com and see the current list of proposed grouping of parishes throughout the Archdiocese. The idea is to expose the thinking of the pastoral planning commission to receive many responses and thus incorporate all the feedback into further recommendations to Cardinal Seán. Susan emphasized that nothing is carved in stone and that they are looking for constructive criticism. Susan also said she is counting down the days until her newest grandchild is born. Her daughter, the youngest of her children, is due to have her first baby at any time. 2nd segment: Scot and Susan welcomed Gregory Tracy and Fr. Roger Landry to the show. On the front page of the Pilot this week is the ordination of seven men as transitional deacons by Cardinal Seán last Saturday. Eric F. Cadin, Felipe de Jesus Gonzales, John J. Healy, Adrian A. Milik, and Brother Michael F. Sheehan, FPO, were ordained for Boston. Matthew Skal Peter Guidi was ordained for the Diocese of Springfield and Brother John M. Luong was ordained for the Oblates of the Virgin Mary. Greg recounted his experience covering the story. He recalled that it was snowing, but the Cathedral was still two-thirds full and it’s a testimony that people came out on this horrible day to see this ordination. “Of course in the Church’s way of preparing men for priestly ministry part of the itinerary is to be deacons. So, this celebration today puts them on that journey to priesthood, even closer, and underscores the fact that ministry is about service, about answering a call to serve the Lord, and the poor at the altar, and to be at the service of the word of God,” Cardinal O’Malley said. Scot said last week, Fr. Roger said that these men will always be deacons. Susan said it struck her too that the diaconate will always be part of their priesthood. Fr. Roger said the ordination of Jason Brilliante in Fall River was thinly attended unfortunately because they had about 11 inches of snow. Scot said the priestly ordination in Boston will be in late June this year. Scot said the Archdiocese has released its latest annual report. Back in 2006, when the archdiocese released its first report, it made national news because never before had a diocese released so much information. Now it’s a non-story. This is for fiscal year 2011 which ended last June. It covers the Corporation SOle, which includes parishes and central ministries. The budget was balanced and net assets increased by $31 million because of investment performance and net contributions in parishes grew 3%. Enrollment in Catholic schools increased for the first time in 20 years. Parishes involved in the first phase of the financial relationship model also got a very successful start with an overall net increase in operating funds of $1.2 million. Greg recalled the initial financial report media coverage and noted that over time it has become commonplace. Cardinal Seán had seen alack of trust of the Church, especially in finances and he felt it was important to have a full accounting to the people. He has kept that commitment every year, even if it takes more or less time to finish the report. They do release vast amounts of information every year and it doesn’t make the news because there’s no remarkable in the figures. The money is used the way they say it is. Scot said the report has been released in January this year and previously it had been at least April before it got out. It takes a lot of work to combine all the parishes and other institutions into one financial report. Scot and Susan discussed the difficult cuts that had to be made to get to a balanced budget. Susan appreciated the comment from the article that the Pastoral Center ensures a culture of service. Scot said there’s a budget report on the diocesan website that shows how the budget gets allocated to the central ministries. Scot said the Church has a responsibility to be good stewards of the generosity of the people. 3rd segment: Scot said Catholic Schools Week starts next week and the Pilot has a 32-page special edition next week. Greg said they run stories from many students from as many schools as they can. It gives people an insight into what’s happening in schools across the archdiocese. Scot said this is the time that many parents think about what they’re going to do for their kids next fall. Catholic schools give good whole-person formation and it’s an environment that welcomes the mention of Jesus. Susan said many schools are having open houses next week to get to know the local schools. Fr. Roger’s editorial this week discusses the benefit of Catholic schools to our entire country because it has been engine of assimilation for millions of immigrant children, forming them into good citizens, especially in our urban neighborhoods, helping them excel. They do this not because the Church has a secret teaching method, but because of the selfless dedication of so many teaching religious brothers and sisters and now laity. Catholic schools made the American dream achievable for millions. The ranks of policemen, firefighters, the military, and our political class are filled with graduates of Catholic schools. There shouldn’t be competition between government and Catholic schools. Scot said Catholic schools face financial trouble, not other kinds of trouble. Many of the teaching orders have had their ranks thinned and they have been replaced by lay teachers, but they need more pay and benefits to support their lives and families. As a result, tuitions have risen from a nominal amount to somewhere around $4000 per year. Many families can’t afford the cost. Fr. Roger’s editorial quoted Archbishop Charles Chaput’s comments when he had to close about 25% of the schools in Philadelphia about where the anger should be directed. Many parents and others are angry at the blue ribbon commission that recommended the closings, but he said they should instead be angry at the legislatures who voted down a school vouchers bill that came before them last year and at the teachers’ union that lobbied against it. If the bill had passed, many of these schools would not have to close. The voucher bill would have redirected the local property tax of parents sending their kids to private schools to the schools where their kids are going. Fr. Roger said this would also create a system of competition because now parents have a choice and schools will have to succeed. Scot said the Catholic school system gets better results than public schools and everyone should want to support that. He also noted the anti-Catholic laws on the books that forbid any state funds from going to Catholic schools specifically. Our prizes this week are the book “Infinite Bandwidth: Encountering Christ in the Media” by Dr. Eugene Gan and two audio CDs by Fr. Larry Richards, “The Mass Explained” and “Confession”. This week’s benefactor card raffle winner is Mark DiMarzo from Stoneham, MA. Congratulation, Mark! 5th segment: Scot said there are two stories on the March for Life pilgrimage from Boston this past weekend. Greg and reporter Chris Pineo accompanied the pilgrims. Greg said they do a tag team approach to covering the March because it is so big. Greg stays with the cardinal and Chris stays with a group of pilgrims on the buses. The Cardinal often attends different events so they want to cover his activities. He did join the pilgrims on several occasions for the liturgies and the March itself. Greg said it was a rainy walk, but there was a palpable sense of joy, especially among the young people. Scot commented on Chris’ story on the reactions of pilgrims visiting the historic sites in DC, including the Lincoln Memorial. “This place makes me feel inspired and it’s very big. It shows what this country has come through and what we have been through and how we have overcome challenges,” Savannah Bynum, freshman at Central Catholic, said. Bynham said she hopes someone will step forward to lead the United States away from the tragedy of abortion, like the Great Emancipator led the country away from the tragedy of slavery. “It makes me think that one person, one inspiring person, can make a difference,” Bynham said. As Brother Rene D. Roy read Lincoln’s Second Inaugural Address tears rolled down his face. “After those very heart-felt thoughts about who we are, and what our destiny is on this planet, it just seems like it is falling apart,” he said, descending the steps where Martin Luther King Jr. spoke in 1963. “But with the firm resolve and the dedication of those who have gone before us we shall overcome that,” Brother Rene said. He looked around at the students with whom he came to the capital to stand against abortion. “There is a lot of hope in these young people, but there are times when it just seems so degenerated, but it will be rejuvenated like the park will be rebuilt,” he said. Crews worked at the $31.6 million repairs to the reflecting pool, as Brother Rene walked back toward the bus. “I think this just gives us a great challenge to face. We are not facing Roman persecution, but we are facing a kind of more subtle dissolution of the established message of Jesus, the established ways of the past,” Brother Rene said. “But there is always hope that is why we’re here, as long as we are alive there is hope,” Brother Rene said. Scot noted a story in the Anchor this week about an increase in the number of babies saved from abortion last year in the Boston area. Fr. Roger said he felt it important to not that these 117 children saved could grow up to save so many more in their lives. If you save one person, you can save a whole nation, according to an old Jewish saying. Greg said also in the Pilot this week is a column from Fr. Roger on physician-assisted suicide and the Pilot will be covering this issue in the coming weeks and months to help people get the full story. Fr. Roger said in the Anchor this week is a story about an appeals court that overturned a lower court ruling that was going to force her to have an abortion against her will because she has a mental illness.